Berlin… Chicago… Amsterdam… Frankfurt… New York. For running enthusiasts around the globe, that combination of well-known cities can mean only one thing: fall marathon races packed with joy and excitement. 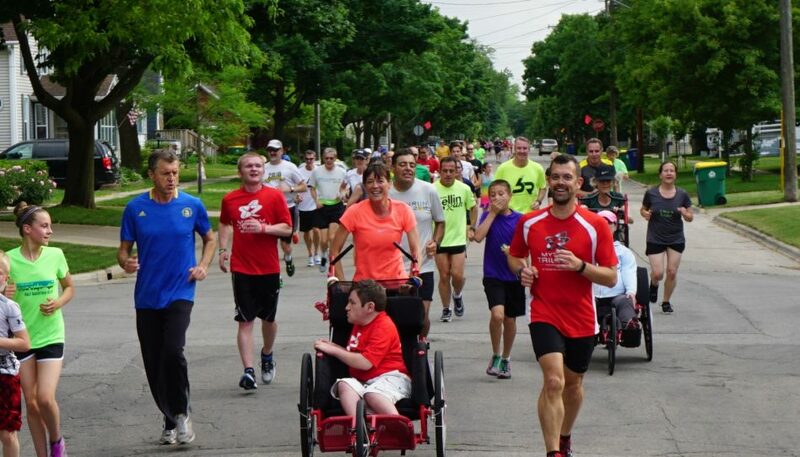 In the coming weeks, the events over the classic distance of 26.2 miles will once again be in the international spotlight with many of the world’s leading runners toeing the starting line. The fastest marathon this year took place eight months ago when five runners went under 2:05 in Dubai in January. That amazing performance leaves many intriguing questions this autumn. Is it possible for someone to improve on the men’s (2:04:05) and women’s (2:20:15) world-best time this year? Can someone get close to the men’s world record (2:03:38)? Will a woman go under the 2 hours and 20 minutes barrier this year? Or will there be a performance lull before athletes like Kenenisa Bekele (Ethiopia), Mo Farah (Great Britain), or the Ethiopian female duo of Tirunesh Dibaba or Meseret Defar move up to the marathon distance? Those questions will undoubtedly be answered, starting in Berlin on September 29. 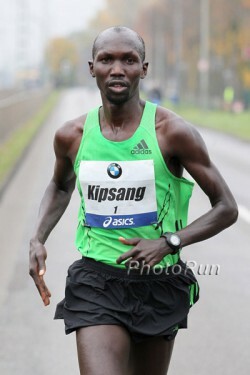 Can Wilson Kipsang Run Close to his Best of 2:03:42 Hours in Berlin? Until recently, it looked like the BMW Berlin Marathon would once again feature a battle between the fastest elite performers in the world. But on September 13, Berlin’s race director, Mark Milde, announced the withdrawal of Kenyan superstar Patrick Makau. The world-record holder should have been taking on Wilson Kipsang, the second-fastest runner of all time, in an all-Kenyan duel, with Patrick Makau’s personal best of 2 hours, 3 minutes, and 38 seconds in danger of being surpassed. Unfortunately, this heavyweight duel will not take place now. Berlin will still present a high-class men’s race, but it remains to be seen how fast the times will be. It is two years since Wilson Kipsang demonstrated the potential to improve Patrick Makau’s world record when he ran 2:03:42 in Frankfurt, Germany, and came within four seconds of the record. Equating this to a 100-meter race, that would mean less than a hundredth of a second’s difference! It is hard to judge his current form, however. After coming in fifth at the Virgin London Marathon, where he was hampered by a toenail problem, Wilson was then second in a 10K race in Manchester, England. He went on to take fourth at the Bogota Half Marathon in July where he clocked an impressive 65:26 minutes at a race run under tough conditions at 2,600m elevation. The man who won in Bogota will also be on the starting line in Berlin: Geoffrey Kipsang, no relation to Wilson, ran 63:46 in Colombia. In his marathon debut at the age of just 20, he finished third in Berlin in 2012 in 2:06:12. Geoffrey must therefore be counted as one of the big favorites along with his compatriot Eliud Kipchoge. 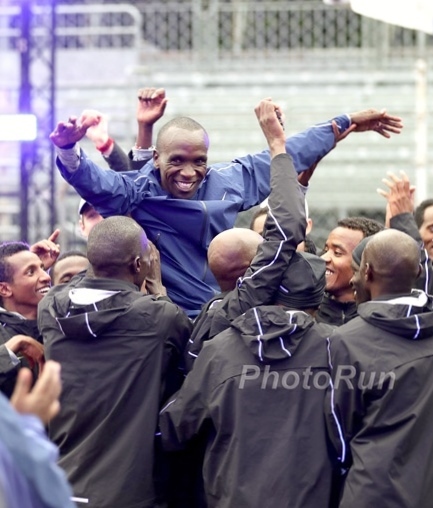 In his own marathon debut in Hamburg (Germany) in April, Eliud recorded an impressive 2:05:30. In the women’s race, three Kenyan marathoners will be the favorites. Among them is Florence Kiplagat, who recorded her best time of 2:19:44 when she won in Berlin two years ago and who has gold medals from the World Cross-Country and Half-Marathon Championships (2009 and 2010 respectively). Georgina Rono, second in Frankfurt in 2:21:39 last year, and Sharon Cherop, third in the World Championships in Daegu, South Korea in 2011 and who has a best of 2:22:39, are also in the mix to win. Irina Mikitenko could also finish near the top. At the age of 41, she is the only German female athlete competing who is capable of achieving a world-class time. After setting the German record with 2:19:19 in Berlin back in 2008, as well as a world-best for athletes over 35, Irina is now chasing the prestigious women’s masters record for age 40 and over. The current time is 2:25:43, set by Russia’s Lyudmila Petrova in New York in 2008. Take The Magic Step’s Uta Pippig will be watching the 40th BMW Berlin Marathon with special interest as one of that race’s guests of honor. 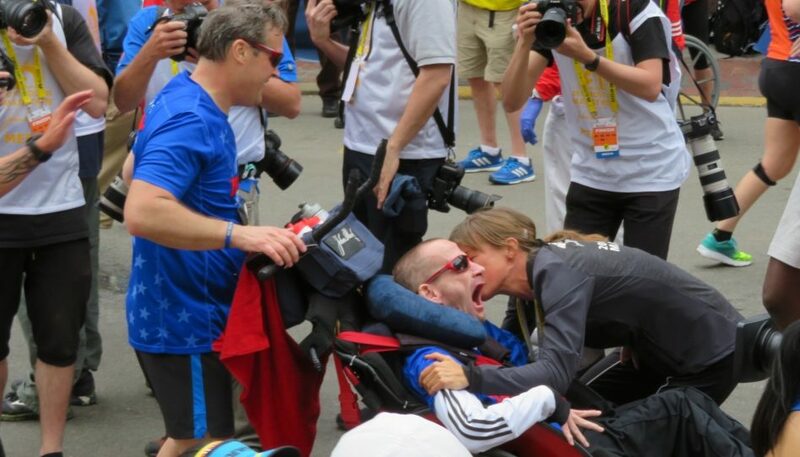 Uta won this marathon three times in the 1990s. You can read some of her fascinating memories of her Berlin races in an interview which she gave in the build-up to the anniversary of this marathon by clicking here on our Website. More fast times are expected in Frankfurt, Chicago, and Amsterdam in the coming weeks. The men’s race in Chicago on October 13 has particularly captured the world’s attention. Four runners with personal bests under 2:05 are included in the lineup: The Kenyan duo of Moses Mosop (2:03:06 in Boston on his debut, though the course is not valid for world-record purposes) and Dennis Kimetto (2:04:16), Ayele Abserho (Ethiopia/2:04:23) and another Kenyan runner, Emmanuel Mutai (2:04:40). Moses Mosop has struggled with injury problems this past year and has not run a race since finishing third in Rotterdam in 2012 in 2:05:03. But if he is fit and if the conditions are favorable, both he and Dennis Kimetto may have the course record of 2:04:38 in their sights. Meanwhile the women’s race in Chicago sees a renewal of the rivalry between Atsede Baysa (Ethiopia) and Rita Jeptoo (Kenya). In a thrilling contest last year, the pair ran neck and neck to the finish line, with Atsede finally claiming victory by a one-second margin in 2:22:03. In Frankfurt and Amsterdam the organizers are still recruiting athletes so the full elite fields are not yet finalized. 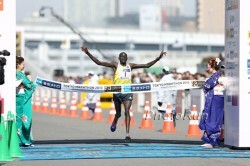 But on the fast Dutch course on October 20, Wilson Chebet, with a best time of 2:05:27, will be aiming for a hat-trick. 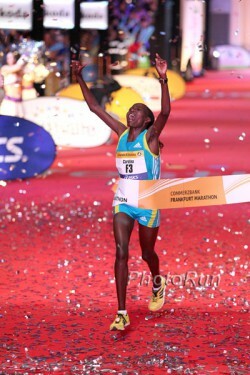 The Kenyan star has won the title the past two years and set the course record with 2:05:41 in 2012. He is guaranteed at least two very strong rivals: Getu Feleke of Ethiopia, who won Amsterdam in 2010 and has since improved his best to 2:04:50; and Bernard Koech who is the fastest Kenyan marathon runner so far this year with his time of 2:04:53 in Dubai in January. In June, Bernard ran an impressive half marathon on a slightly downhill course in San Diego, improving his best to 58:41. 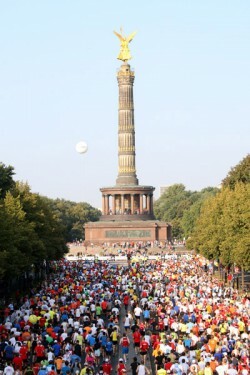 At the BMW Frankfurt Marathon on October 27 the field will include Kenya’s Vincent Kipruto. The 2009 Paris Marathon champion (best time: 2:05:13) and 2011 world silver medalist showed highly promising form when he won the Lille Half Marathon in 60:39 as recently as the beginning of September. Among others he will face in Frankfurt is his fellow countryman Gilbert Kirwa who won the 2009 race in what was then a course record of 2:06:14. The women’s race marks a return for the 2010 winner, Caroline Kilel of Kenya, who also triumphed at the 2011 Boston Marathon in 2:22:36. In New York, it is all about victory in the largest marathon in the world. And this year’s November 3 race promises to be extra special: after the event‘s cancellation last year due to the devastation of Hurricane Sandy, New Yorkers want to return to action with a great and memorable race. Already entered is the course record holder, Geoffrey Mutai (Kenya/2:03:02), who will face his compatriot Stanley Biwott (2:05:12) as well as the reigning Olympic and World champion from Uganda, Stephen Kiprotich (2:07:20). 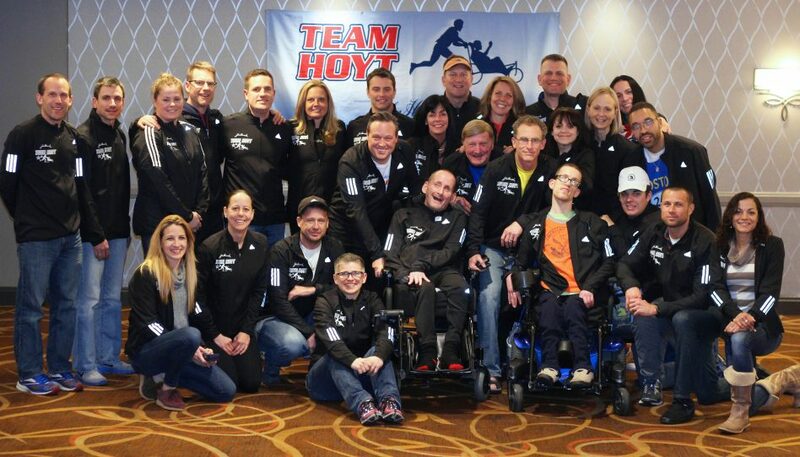 The American competitors will include Ryan Hall (2:04:58) and Meb Keflezighi (2:09:08), and more top athletes are expected to be announced soon. On the women’s side, a definite starter is the London champion Priscah Jeptoo, who has the fastest time in the world this year with 2:20:15. The Kenyan athlete showed outstanding form recently when she won England’s Newcastle Half Marathon in a leading time of 65:45. Among her rivals will be Edna Kiplagat of Kenya (2:19:50), who was crowned the 2013 World Champion in Moscow. 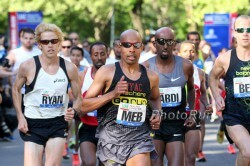 It is also possible that we will see Olympic champion Tiki Gelana and the World Half-Marathon winner, Meseret Hailu. Germany’s Sabrina Mockenhaupt (2:26:21), who was among the top runners who lost the chance to run in the Big Apple last year, will have the opportunity to make up for her 2012 disappointment, and looking ahead to the 2014 European Championships, this will be a challenging fall race for her. Men: Wilson Kipsang (KEN/2:03:42), Eliud Kipchoge (KEN/2:05:30), Eliud Kiptanui (KEN/2:05:39), Geoffrey Kipsang (KEN/2:06:12), Sisay Jisa (ETH/2:06:27), Marilson dos Santos (BRA/2:06:34), Negari Terfa (ETH/2:07:32), Stephen Chemlany (KEN	/2:07:55), André Pollmächer (GER/2:13:09), Falk Cierpinski	(GER/2:13:30), Marcin Blazinski (GER/Frankfurt/2:14:45), Wilfred Kirwa (KEN/Debut), Jacob Kendagor (KEN/Debut). Women: Irina	Mikitenko (GER/2:19:19), Florence Kiplagat (KEN/2:19:44), Georgina Rono (KEN/2:21:39), Desiree Davila (USA/2:22:38), Sharon Cherop (KEN/2:22:39), Remi Nakazato (JPN/2:24:28), Eri	Hayakawa (JPN/2:26:17), Helah Kiprop (KEN/Debut). Men: Moses Mosop (KEN/2:03:06), Dennis Kimetto (KEN/2:04:16), Ayele Abshero (ETH/2:04:23), Emmanuel Mutai (KEN/2:04:40), Tilahun Regassa (ETH/2:05:27), Sammy Kitwara (KEN/2:05:54), Dathan Ritzenhein (USA/2:07:47), Yoshinori Oda (JPN/2:09:03), Zersenay Tadese (ERI/2:10:41), Atsedu Tsegaye (ETH/Debut), Matt Tegenkamp (USA/Debut). Women: Atsede Baysa (ETH/2:22:03), Rita Jeptoo (KEN/2:22:04), Jemima Sumgong (KEN/2:23:27), Ehitu Kiros (ETH/2:23:38), Maria Konovalova (RUS/2:23:50), Abebech Afework (ETH/2:23:59), Yukiko Akaba (JPN/2:24:09), Aliaksandra Duliba (BLR/2:26:08). Men: Getu Feleke (ETH/2:04:50), Bernard Koech (KEN/2:04:53), Wilson Chebet (KEN/2:05:27)—other runners and women still to be announced. Men: Vincent Kipruto (KEN/2:05:13), Gilbert Kirwa (KEN/2:06:14), Meftah Abdellatif (FRA/2:09:46), Johnstone Maiyo (KEN/2:10:03), Günther Weidlinger (AUT/2:10:47), Sören Kah (GER/ 2:13:57), Dave Webb (GBR/2:15:48). Women: Caroline Kilel (KEN/2:22:36), Maja Neuenschwander (SUI/2:30:50), Lisa Hahner (GER/2:31:28), Katharina Heinig (GER/2:34:20). Men: Ryan Hall (USA/2:04:58), Meb Keflezighi (USA/2:09:08), Jason Hartmann (USA/2:11:06). Probably: Geoffrey Mutai (KEN/2:03:02), Gebre Gebremariam (ETH/2:04:53), Stanley Biwott (KEN/2:05:12). Women: Priscah Jeptoo (KEN/2:20:14), Kara Goucher (USA/2:24:52), Lisa Stublic (CRO/2:25:44), Sabrina Mockenhaupt (GER/2:26:21), Amy Hastings (USA/2:27:03), Adriana Nelson (USA/2:28:52), Janet Bawcom (USA/2:29:45). Probably: Tiki Gelana (ETH/2:18:58), Meseret Hailu (ETH/2:21:09), Jelena Prokopcuka (LAT/2:22:56), Firehiwot Dado (ETH/2:23:15), Valeria Straneo (ITA/2:23:44). 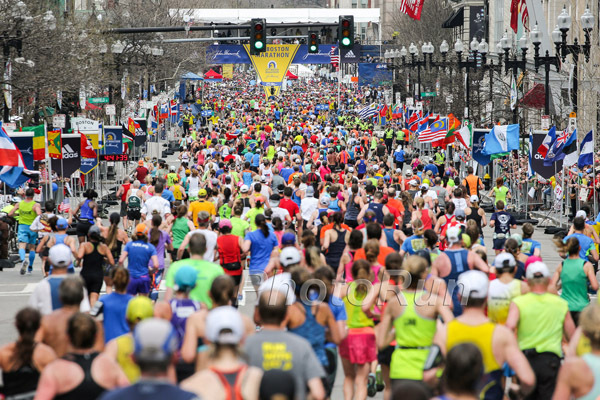 *Boston: on April 18, 2011, Geoffrey Mutai (Kenya) won the Boston Marathon in 2:03:02 by four seconds from his compatriot Moses Mosop (2:03:06). However, the race cannot be recognized as official world or national records since the course does not meet the relevant regulations (max. drop of one meter per kilometer, start and finish must be situated a max. 50% of the entire course separate from each other. The drop on the point-to-point course in Boston is 139m. *Each WMM Series takes place over a two-year cycle. The men’s and women’s champions share equally prize money of $1 million. The top five in each WMM race score points with the winner receiving 25 and the remainder 15, 10, 5 and 1.